The Earth Café and Deli. 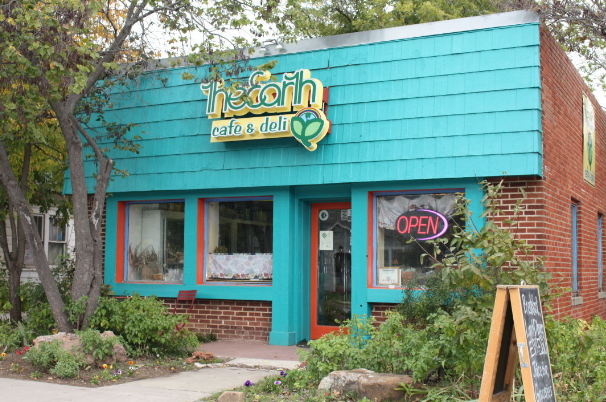 Longtime Norman vegetarian staple, The Earth is part store and part café with sides of deli, juice bar and smoothie source. The Earth is not only vegetarian friendly, it is also a vegan and gluten-free go-to, too. Misal Indian Bistro. This longtime Norman favorite is located on Ed Noble Parkway and has been preparing Indian specialties since 1979. Bonus: Misal's has a buffet for lunch and a full bar. O Asian Fusion. Located on the busy corner of Alameda and 12th Ave. SE, O Asian Fusion's menu features many options for those diners who are meat free. Sergio's Italian Bistro. The fresh Italian menu at Sergio's is a definite pasta pleaser. The tortellini is a favorite as well as the pizzas. Plus, the Downtown eatery features a patio and live music. TEA Cafe. University of Oklahoma students especially love this Campus Corner Asian eatery. TEA Cafe's menu offers Asian staples like spring rolls, soups and noodles but also a wide variety of specialty drinks like milk tea and Thai tea. There are many other vegetarian friendly places to eat in Norman but here are six to try if you have not already sampled their offerings. Let us know what your 7th eatery would be.